guys check out this link and see how ignorantly proud these people are of their "achievement" in making "heartwarming beautiful" bollywood animated films! Amazing Artists i mean there is just soo much u can Learn n Share in this place..
"So you got degrees from both? Nope. I dropped out of both. No degrees here, man"
"Are you tempted to go back to finish? I would love to go back to school, but not for a piece of paper or degree. I’d go back to have more time to train or learn more things. But I will say this: To maintain longevity, you have to get your education someplace—either in the workforce or in school. " 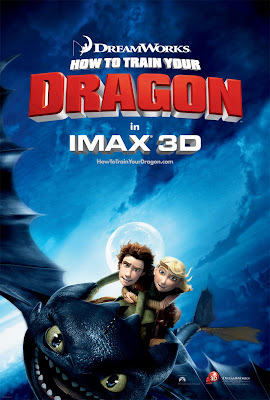 Hey people i watched HOW TO TRAIN YOUR DRAGON Pre release for Dreamworks Bangalore. Was invited by a friend(Thanks a ton to her) and the movie is simply mindblowing. Fantastic Story, Direction, Animation, Designs and Stoytelling. 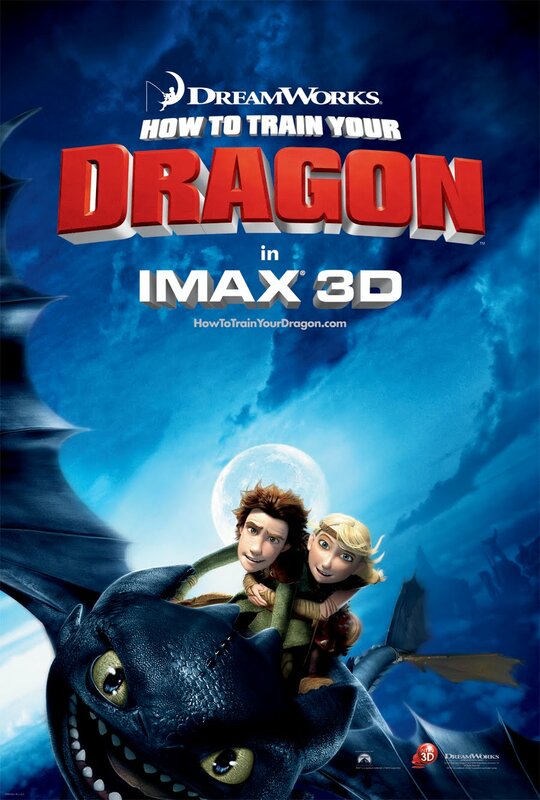 This is one of the best Dreamworks movie i have ever watched. Its action packed and has a brilliant sense of humor. The acting of the charcters , especially the dragons were bloody awesome. Night fury is my new favorite character , just brilliant . All hail to all the crew who worked on the movie, especially the animators and Nicolas marlet who designed all the characters. if u guys dunno who Nicolas Marlet is, He is the guy who designed Kungfu panda and the short film FRENCH ROAST which was nominated for Oscar this year. I wanna watch the movie again,, may be a million times:D......Totally enjoyed it..
hey guyz, my first entry to 11 sec club... Had a bit tough time wid this..
the scenario is that a tourist comes to a remote tribe village and meets this tribal. he tries to communicate with him in english, but is shocked to know the tribal can speak just as good english as he does... and a slang version at that!! Loved the video, Dapoon posted in previous post. I felt bad too for 2D, but after finishing ...I said Now what ??? To be precise...Flexibility is the key because future has many more hidden challenges in her womb. Please read the lecture by Y.L.R Moorthy in IIM Bangalore. Reason being cameras bundled with cell phones are outselling stand alone cameras. Now, what prevents the cell phone from replacing the camera outright? Nothing at all. One can only hope the Sonys and Canons are taking note. Incidentally Airtel is not in music business. It is the mobile service provider with the largest subscriber base in India. That sort of competitor is difficult to detect, even more difficult to beat (by the time you have identified him he has already gone past you). But if you imagine that Nokia and Bharti (Airtel's parent) are breathing easy you can't be farther from truth. Nokia confessed that they all but missed the smart phone bus. They admit that Apple's I phone and Google's Android can make life difficult in future. But you never thought Google was a mobile company, did you? If these illustrations mean anything, there is a bigger game unfolding. It is not so much about mobile or music or camera or emails? The "Mahabharata" (the great Indian epic battle) is about "what is tomorrow's personal digital device"? Will it be a souped up mobile or a palmtop with a telephone? All these are little wars that add up to that big battle. Hiding behind all these wars is a gem of a question – "who is my competitor?" Once in a while, to intrigue my students I toss a question at them. It says "What Apple did to Sony, Sony did to Kodak, explain?" The smart ones get the answer almost immediately. Sony defined its market as audio (music from the walkman). They never expected an IT company like Apple to encroach into their audio domain. Come to think of it, is it really surprising? Apple as a computer maker has both audio and video capabilities. So what made Sony think he won't compete on pure audio? "Elementary Watson". So also Kodak defined its business as film cameras, Sony defines its businesses as "digital." In digital camera the two markets perfectly meshed. Kodak was torn between going digital and sacrificing money on camera film or staying with films and getting left behind in digital technology. Left undecided it lost in both. It had to. It did not ask the question "who is my competitor for tomorrow?" The same was true for IBM whose mainframe revenue prevented it from seeing the PC. The same was true of Bill Gates who declared "internet is a fad!" and then turned around to bundle the browser with windows to bury Netscape. The point is not who is today's competitor. Today's competitor is obvious. Tomorrow's is not. In 2008, who was the toughest competitor to British Airways in India? Singapore airlines? Better still, Indian airlines? Maybe, but there are better answers. There are competitors that can hurt all these airlines and others not mentioned. The answer is videoconferencing and telepresence services of HP and Cisco. Travel dropped due to recession. Senior IT executives in India and abroad were compelled by their head quarters to use videoconferencing to shrink travel budget. So much so, that the mad scramble for American visas from Indian techies was nowhere in sight in 2008. (India has a quota of something like 65,000 visas to the U.S. They were going a-begging. Blame it on recession!). So far so good. But to think that the airlines will be back in business post recession is something I would not bet on. In short term yes. In long term a resounding no. Remember, if there is one place where Newton's law of gravity is applicable besides physics it is in electronic hardware. Between 1977 and 1991 the prices of the now dead VCR (parent of Blue-Ray disc player) crashed to one-third of its original level in India. PC's price dropped from hundreds of thousands of rupees to tens of thousands. If this trend repeats then telepresence prices will also crash. Imagine the fate of airlines then. As it is not many are making money. Then it will surely be RIP! India has two passions. Films and cricket. The two markets were distinctly different. So were the icons. The cricket gods were Sachin and Sehwag. The filmi gods were the Khans (Aamir Khan, Shah Rukh Khan and the other Khans who followed suit). That was, when cricket was fundamentally test cricket or at best 50 over cricket. Then came IPL and the two markets collapsed into one. IPL brought cricket down to 20 overs. Suddenly an IPL match was reduced to the length of a 3 hour movie. Cricket became film's competitor. On the eve of IPL matches movie halls ran empty. Desperate multiplex owners requisitioned the rights for screening IPL matches at movie halls to hang on to the audience. If IPL were to become the mainstay of cricket, as it is likely to be, films have to sequence their releases so as not clash with IPL matches. As far as the audience is concerned both are what in India are called 3 hour "tamasha" (entertainment). Cricket season might push films out of the market. Look at the products that vanished from India in the last 20 years. When did you last see a black and white movie? When did you last use a fountain pen? When did you last type on a typewriter? The answer for all the above is "I don't remember!" For some time there was a mild substitute for the typewriter called electronic typewriter that had limited memory. Then came the computer and mowed them all. Today most technologically challenged guys like me use the computer as an upgraded typewriter. Typewriters per se are nowhere to be seen. One last illustration. 20 years back what were Indians using to wake them up in the morning? The answer is "alarm clock." The alarm clock was a monster made of mechanical springs. It had to be physically keyed every day to keep it running. It made so much noise by way of alarm, that it woke you up and the rest of the colony. Then came quartz clocks which were sleeker. They were much more gentle though still quaintly called "alarms." What do we use today for waking up in the morning? Cell phone! An entire industry of clocks disappeared without warning thanks to cell phones. Big watch companies like Titan were the losers. You never know in which bush your competitor is hiding! On a lighter vein, who are the competitors for authors? Joke spewing machines? (Steve Wozniak, the co-founder of Apple, himself a Pole, tagged a Polish joke telling machine to a telephone much to the mirth of Silicon Valley). Or will the competition be story telling robots? Future is scary! The boss of an IT company once said something interesting about the animal called competition. He said "Have breakfast …or…. be breakfast"! That sums it up rather neatly. hey guys check out this documentary on the downfall of disney 2D animation when 3D came into being. it's really touching the way the artists share their 'glory days' stories and how it all ended so abruptly! i totally agree with one of the artists when she says,"u can never achieve that emotion in 3D which we do in 2D, cuz we put so much in a drawing." 2D TOTALLY ROCKS!!! IT SHOULD NEVER DIE!!! Dream On Silly Dreamer from Long Tran on Vimeo. Have a look at this commercial. I am not embedding the video here on purpose, watch it on Vimeo, and have fun!